Yen Makabenta, a veteran columnist at the Manila Times took notice of several things about ousted Chief Justice Maria Lourdes Sereno’s interview with BBC HardTalk. First, her eyelids' rapid twitch – which shows that Sereno was under stress. 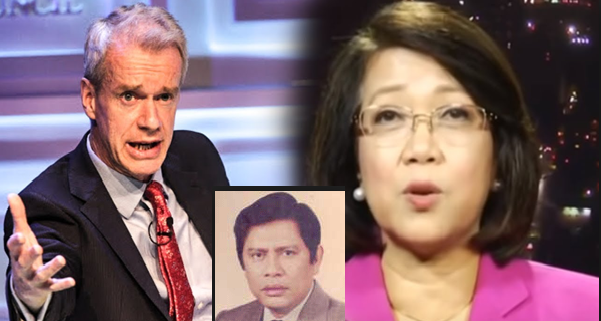 Second, BBC HardTalk host Stephen Sackur is known for his tough questioning – then why did Sereno seek the interview with Sackur, which was strikingly aired on Independence Day? “The thing about the non-stop blinking eyelids is that they are riveting; you remember them more than the elaborate arguments Sereno laid out as the reasons for her ouster or restoration as chief justice of the Supreme Court.” He added. People have also noticed that her eyes have blink more than she answered Sackur’s questions effortlessly and with deeper knowledge. Makabenta described watching the interview video as ‘punishing’. “While you marvel at Sackur’s dexterity and preparedness in questioning Sereno, you cringe at her responses and self-serving explanations, and her vain effort to divert the interview to an area favorable to her cause.” Makabenta said. “Nothing in what Sereno said in the interview showed deep understanding of constitutional government, rule of law and democracy in the Philippines. She had none of the feminine charm and sophistication that accomplished Filipino women effortlessly show an interviewer or inquisitor.” He noted. In Makabenta’s opinion, Sereno was a picture of puzzlement every time Sackur would throw questions related to her criticisms against President Rodrigo Duterte. And then Makabenta tackled Sereno’s contributions to her beloved justice system that she was trying to protect. 1. The Hacienda Luisita case wherein she argued for the payment to the Cojuangco clan by the government of over P10 billion for the land that the court had already ruled for distribution among the workers in the hacienda and their families. Some say this was the principal reason why Aquino appointed her to the court—to lawyer for the clan from inside the SC. 2. The Grace Poe citizenship disqualification cases, wherein she took the lead in steering the court toward a decision pronouncing Poe a citizen of the Philippines under the terms of the 1935 Constitution because she is a foundling. There ensued a running debate between Sereno and Senior Associate Justice Antonio Carpio on whether the court had effectively declared Grace Poe a natural-born citizen of the Philippines. Sereno was appointed by her classmate and former president Benigno Aquino 3rd in August 2010 as associate justice of the Supreme Court even without proper judicial experience. In 2012, Aquino appointed Sereno as the new chief justice of the Supreme Court. From being an Associate Justice to Chief Justice, Sereno tried her best to look busy and took part at some huge discussions at the court. Further, Makabenta noted Sereno’s imprudence for accepting Aquino’s appointment of her as the chief magistrate over the other justices with very much wide and vast experience than her. “I submit, however, that Sereno will enter the nation’s memory bank not for jurisprudence, but for the imprudence of her appointment to the court by President Aquino, and her tenacity to cling to the post of chief justice even when the high court already ruled her appointment void.” Makabenta said.